« Waverley to Double : have your say! 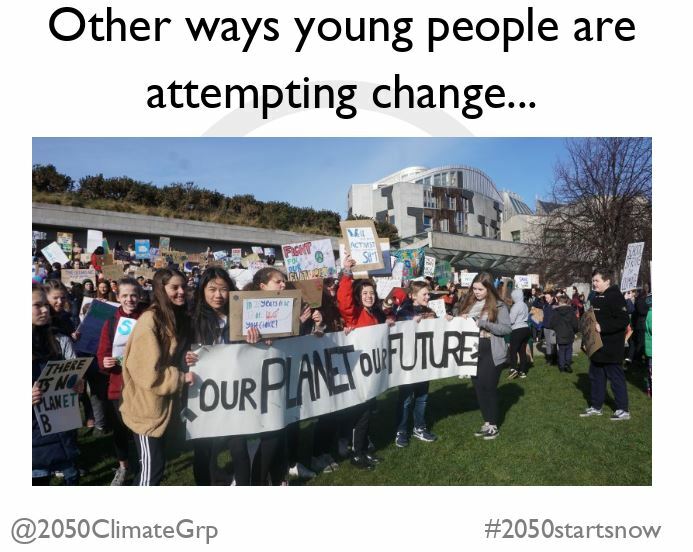 Young people are increasingly doing this now, and older people need to take the climate crisis equally seriously. 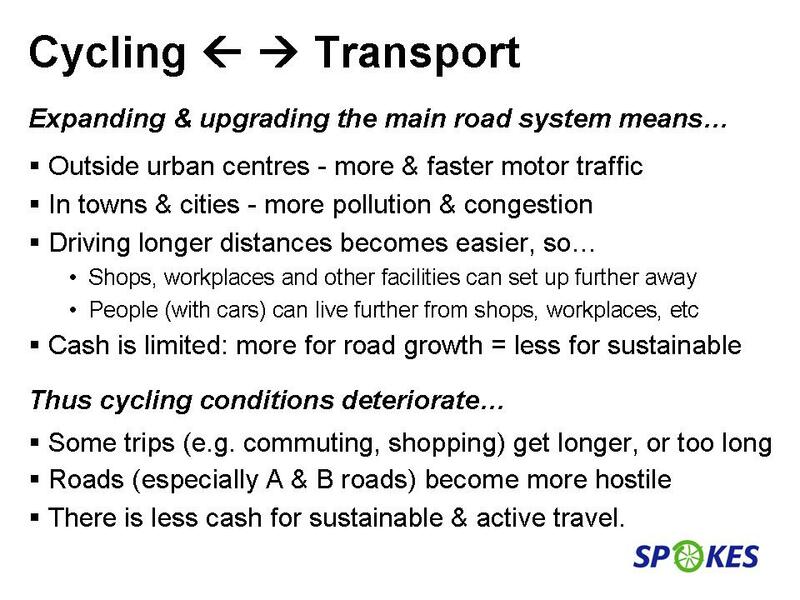 Although cycling investment has risen, the continuing expansion of the main road system has major negative consequences, both direct and indirect, for getting about by bike. 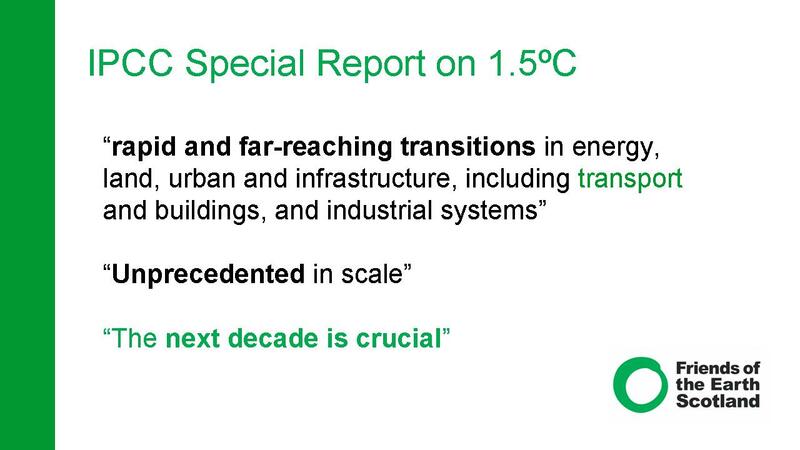 Transport is the biggest emissions source and needs major policy changes. 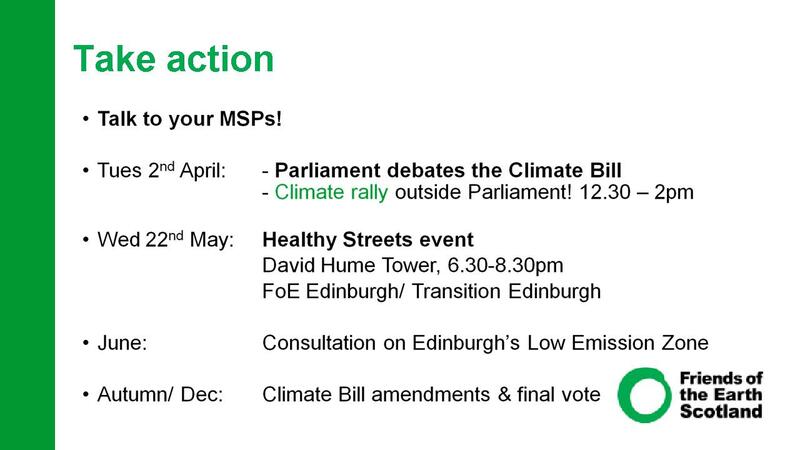 We can all help by contacting MSPs and attending relevant events and protests. 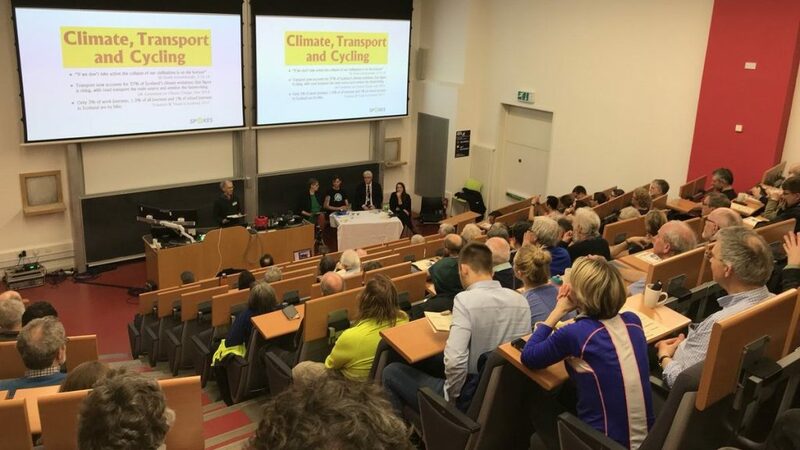 20mph default Bill – Although 20mph is often not adhered to, surveys show that public attitudes are changing, and the South Edinburgh pilot showed 1.6mph speed reduction, equivalent to 10% fewer casualties. There is police enforcement in Edinburgh. Internet-connected society/ Big Data – Although there are many potential benefits (e.g. 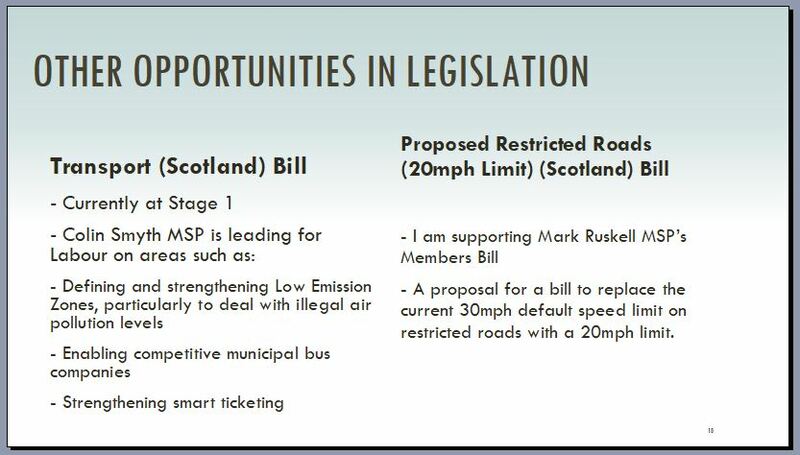 seamless travel between modes, or controlling car speeds) there are ethical questions (e.g. 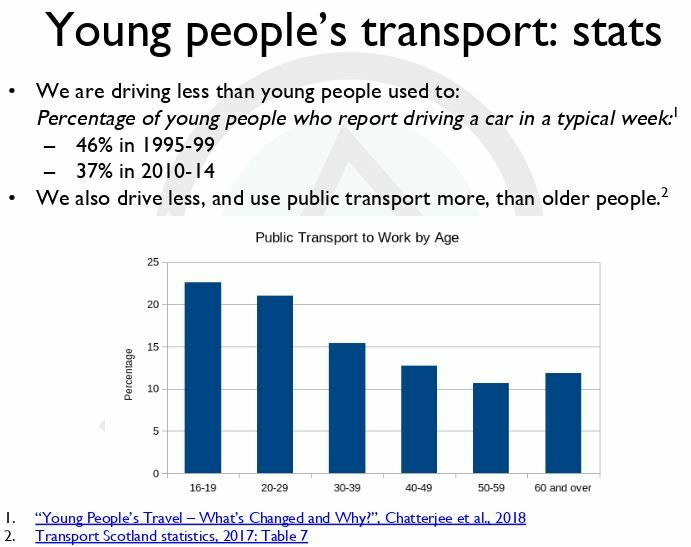 driverless cars) and dangers in increasingly authoritarian societies (e.g. people and all their activities can be tracked through their phones). Dave Gorman states that Edinburgh University is to create a Chair and research programme on Data and AI Ethics. 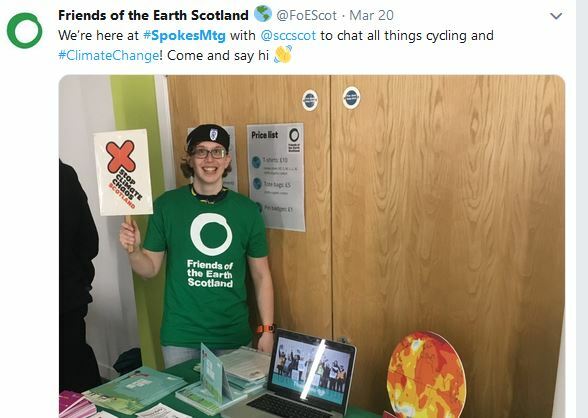 Flying – Several organisations (e.g SEPA) ban internal UK flights, why not Edinburgh University, with 50% of its staff/student flights being to London? 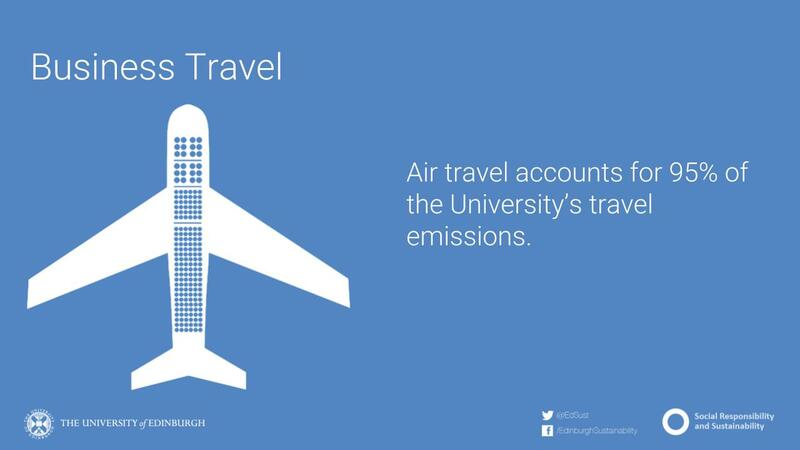 Dave says the university is studying these flights, but notes that many are overseas students, with the first leg of their journey home being to a London hub airport. 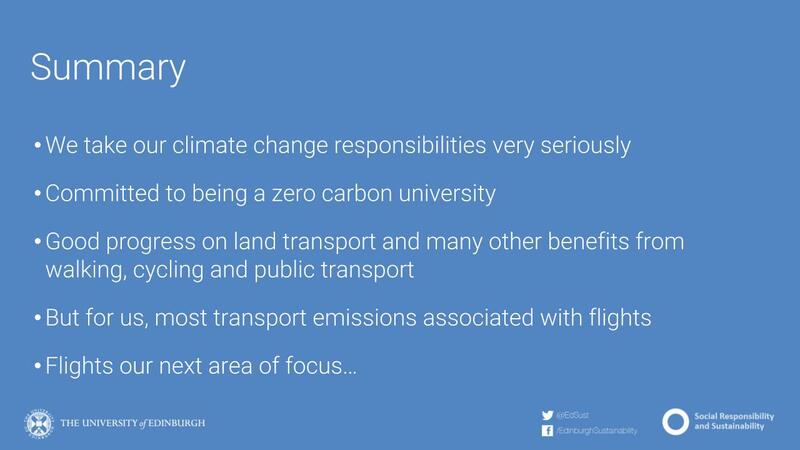 Road traffic growth predictions – can we halt this scenario, which threatens any hope of bringing transport into line with climate needs? 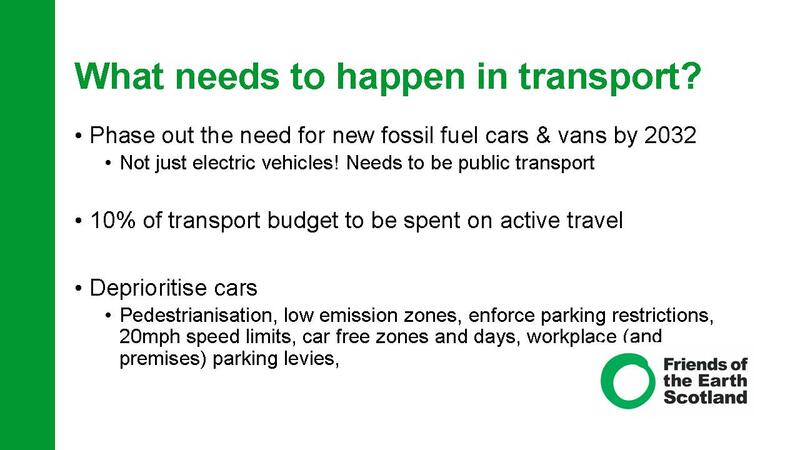 Caroline says – yes, if everyone concerned about Transport and Climate raises their voice! 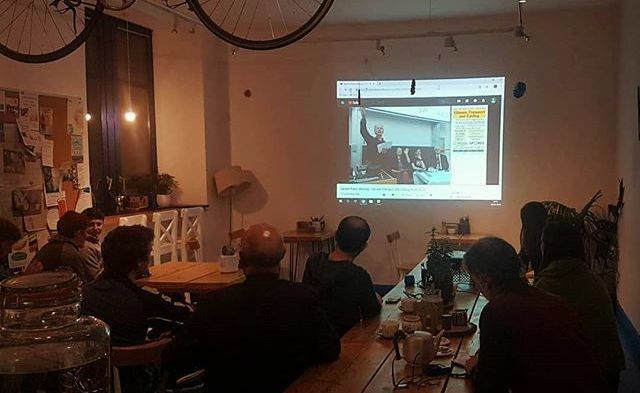 YouTube live stream of meeting [meeting starts at 10:50 in timeline] Unfortunately the sound is out of sync with the visual. 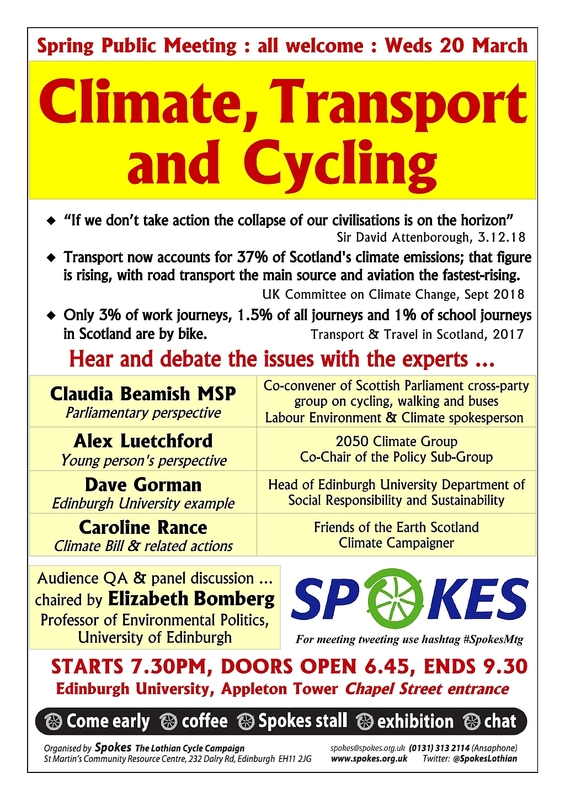 Spokes Bulletin 133 and Climate/Transport/Cycling supplement, both providing background to the meeting topic. 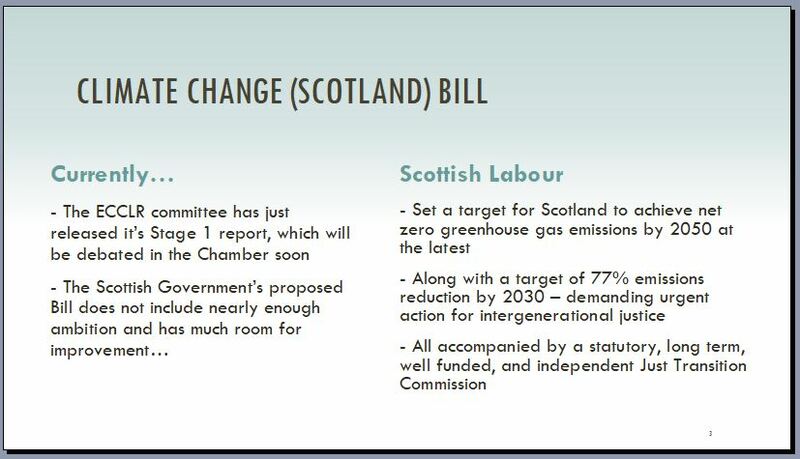 The supplement includes statements from the political parties at Holyrood. All the politicians who represent you – writetothem.com.